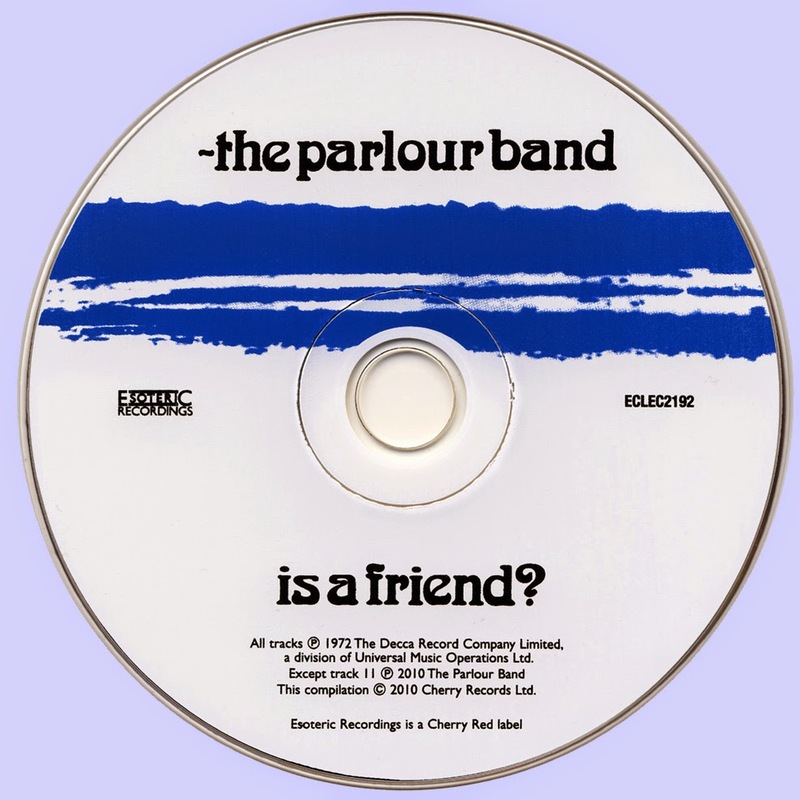 The Parlour Band have the dubious honour of being the first band from the small English Channel island of Jersey to be signed by a major UK label (Decca) and put into a studio to record an album. This was in late 1971 after Decca had been impressed by some very basic demos submitted the previous year by Peter Filleul, the band's song writer, lead vocalist and keyboard player. At the time, the band was based in Leicester as the group's drummer (Jerry Robins) and one of the guitarists (Jon 'Pix' Pickford) were studying at the local polytechnic (also the venue for the group's first mainland concert). The other two group members were brothers Craig and Mark Anders (guitar and bass, respectively), and the five of them shared two low-rent houses typical of the squalor fit only for habitation by mice and students! However, the accommodation did give the band space to practice and Leicester was a fairly convenient location to travel from to get to gigs, although after signing a deal the band relocated to London to be nearer the hub of the English music industry. 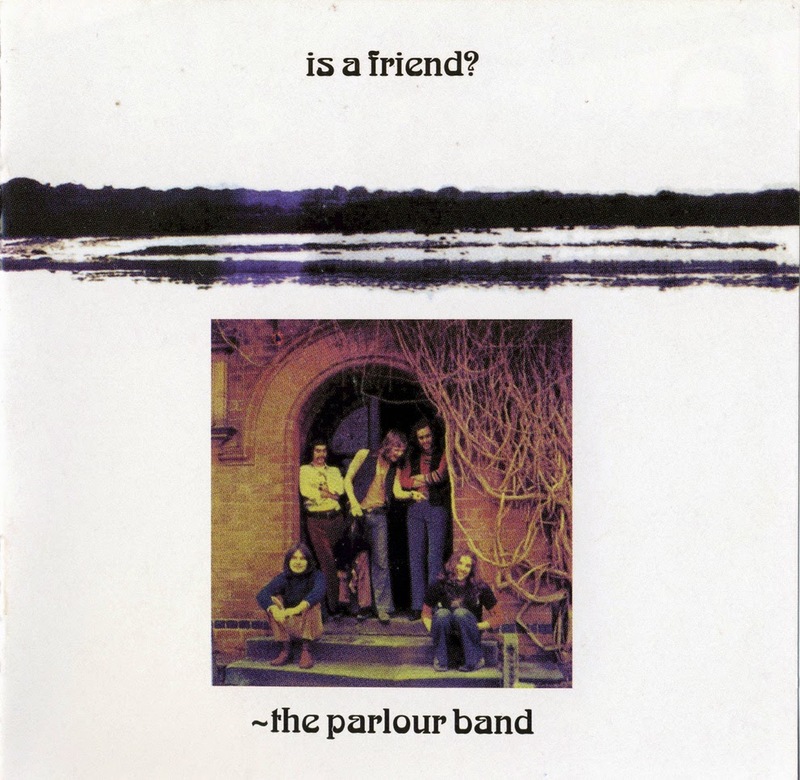 From the opening Hammond riff of Forgotten Dreams with its accompanying layered vocals there is no mistaking that Is A Friend? is a product of the 70s. A fantastic opening which surprisingly leads into the more mellow Pretty Haired Girl. The harmony vocals are spot on and the twin lead guitars provide a gloriously melodic interlude. What is essentially a superior pop song breaks with conformity with a guitar solo which stridently leads the listener directly into Spring's Sweet Comfort. And so it goes on, song after song of melodic glory that effortlessly combines prog stylings, pop overtones and west Coast US harmonies. Although identifiable as being from the 1970s, it is not surprising that the album failed to capture the imagination of the masses. Sure the players are technically very proficient and the song writing is first class, but the album lacks the bombast of an out-and-out progressive album of the era and is crushed in comparison to the glam rock that occupied the singles charts. Filleul's writing was not entirely unaffected by the contemporary influences as evidenced by tracks such as Evening and the closing suite, Home which provides a light prog finale to the album, and also the rather enigmatic album title (the lyrics include the line: Home is a friend). I am sure a lot of people would dismiss this album as lightweight and somewhat inconsequential. However, I have to state that I seriously love all of the songs; from the uplifting Little Goldie, through the melancholy of Don't Be Sad to the harder Early Morning Eyes. The killer vocals get to me, the playing is concise and precise, the tunes are memorable and the production (by Nick Tauber) is crystal clear. With Esoteric's precision remastering the sound of the album is perfect and at last there is an informative booklet, written by band member Craig Anders, with information on the band and what they are up to these days. As we have come to expect, the album also features a bonus rarity, Runaround, a horn embellished rocker, the number shows a different side to the band that is not so evident from the 10 core album tracks.